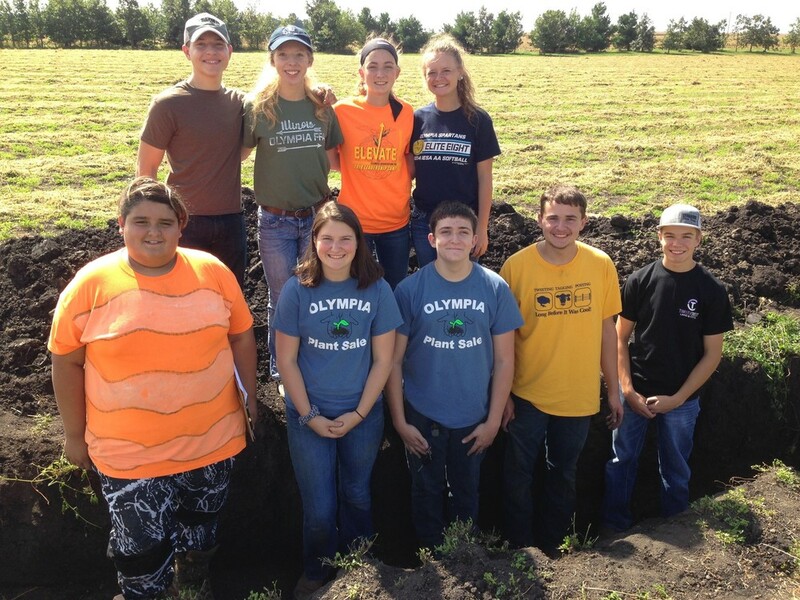 The Olympia FFA Chapter Land-Use team placed 3rd at the Section 9 FFA Land-Use CDE on September 25th. Cavit Schempp was the high individual on the team and placed 5th overall. Josie Litwiller was also in the top ten and placed 8th. Other team members included Molly Schempp, Dwayne Hancock, Tyler Miller, Bailey Rogers, Dawson Banister, Erin Turner and Shay Hunt Schroers. 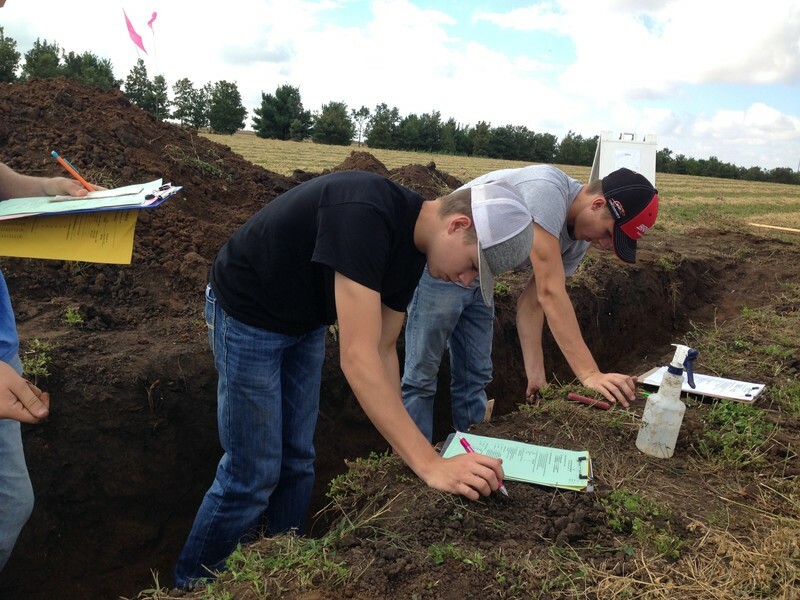 FFA members evaluated soil for different characteristics such as soil color, drainage, permeability, texture, structure, and depth. Students also calculated slope and determined how the soil should best be used in a conservation program. Freshmen Shay Hunt Schroers said, “I had fun not only learning more about soils, but also meeting FFA members from other schools.” Sophomore Erin Turner stated, “It was a challenging competition that I hope to do even better at next year.” The winning team was El Paso-Gridley FFA and second was Flanagan-Cornell. The contest was held at Rooster Heaven Hunt Club north of Forrest, IL.